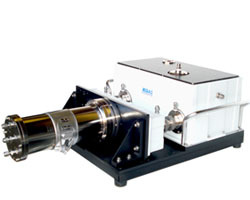 For years, MIDAC has provided customized solutions for demanding gas analysis applications. This accumulated experience uniquely qualifies us to provide "total solutions" for virtually any gas analysis need - from environmental to industrial process applications. The versatility of I-Series gas analysis systems enables us to work with you to configure a system that will deliver precisely the information you need. Up to 12 analog inputs for ancillary measurements such as mass flow, O2, H, etc.